Hailed as one of the most promising names in electronic music, and that by the likes of W&W, 6K proudly presents the latest David Gravell tune. The all-destroying big-room tune of ‘Megatron’ is the highly anticipated follow-up to ‘Bulldozer’ and hits right in where needed. Already supported by Armin van Buuren in ‘A State Of Trance’ episode 365! T.H.E is Trance-House-Electro. All the latest previews, reviews, news and plenty more from the world of Electronic Dance Music. 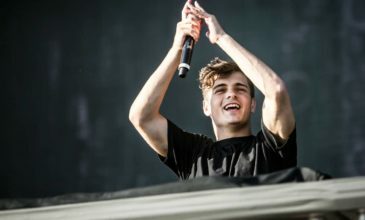 A record label founded by one of the biggest names in EDM, Martin Garrix’s STMPD RCRDS turns 2 today and to sum it up shortly, it’s been quite the journey. Hey Buddy!, I found this information for you: "Afrojack’s stream on Soundcloud". Here is the website link: https://themusicessentials.com/radio-shows/afrojacks-stream-soundcloud/. Thank you.